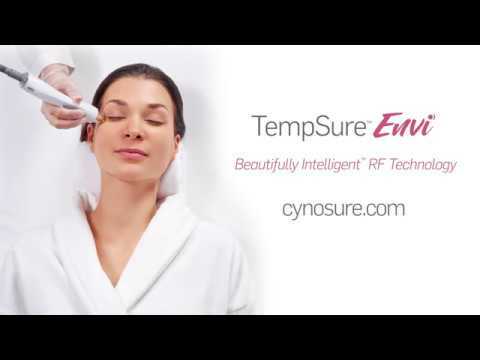 TempSure Envi is a new radio frequency treatment that minimizes facial fine lines and wrinkles, tightens skin and improves the appearance of cellulite by non-invasively heating up the deep layers of the skin. Applied with a massage wand, this treatment encourages new collagen formation which leaves skin tighter and minimizes wrinkles, fine lines and dimples. It is safe for all skin types and levels of sun exposure, so it fits beautifully and simply into any beauty maintenance routine, any time of year. A series of treatments is recommended. 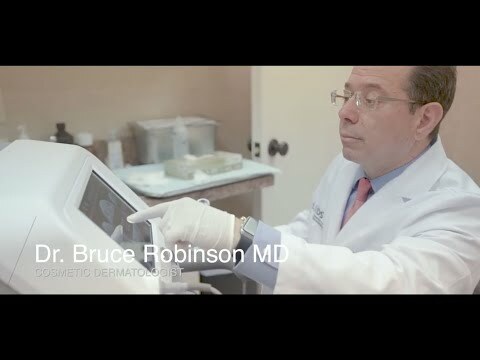 Achieve great looking skin without surgery or downtime. 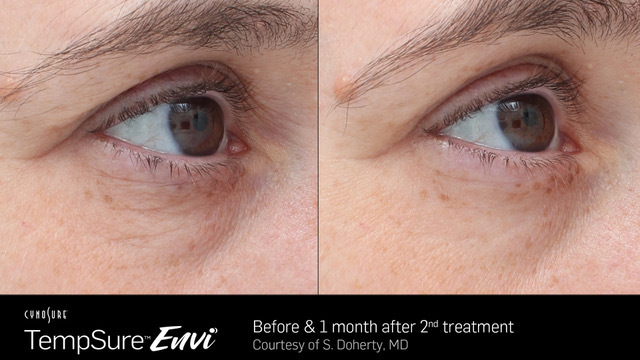 With TempSure Envi, there is no surgery, no needles, no pain and no downtime. The patient leaves with immediate lift, tightening and healthy glow. TempSure Envi treatment is a gentle way to revive your skin's natural beauty and reduce the appearance of wrinkles and fine lines. The TempSure Envi massage wand delivers radiofrequency technology to gently heat your skin increasing it's temperature for a defined, therapeutic time, triggering your skin's natural response to create new collagen and elastin. At 7-10 days post-treatment, the rebuilding process begins in the skin. Fibroblasts accumulate to synthesize new collagen and elastin and tissue growth factors are released. This process may continue for up to three months giving you tighter, younger-looking skin. A series of treatments is recommended, therefore, treatments are typically bundled into packages. Every patient is different and the optimum number of treatments can vary. Dr. Robinson and his staff will develop a plan that is right for your goals. Treatments last about 20-60 minutes, depending on the area being treated. There is no downtime allowing you to return to your normal activities immediately. TempSure Envi is a simple solution for beautiful skin. It provides a soothing patient experience while delivering beautiful results. Each treatment delivers consistent and controlled heat, giving you an effective, yet comfortable treatment every time. Instantly - you will leave with an immediate lift, tightening and natural glow. Patients describe a "tighter, smoother feeling and reduced pore size". The best part is that collagen will continue to rebuild over time, enhancing your skin's appearance. Is TempSure right for me? TempSure Envi is right for those looking to minimize fine lines and lift sagging skin on the face and body. Also, excellent at reducing the appearance of cellulite. Treatments are extremely safe and can be performed on all skin types year round.